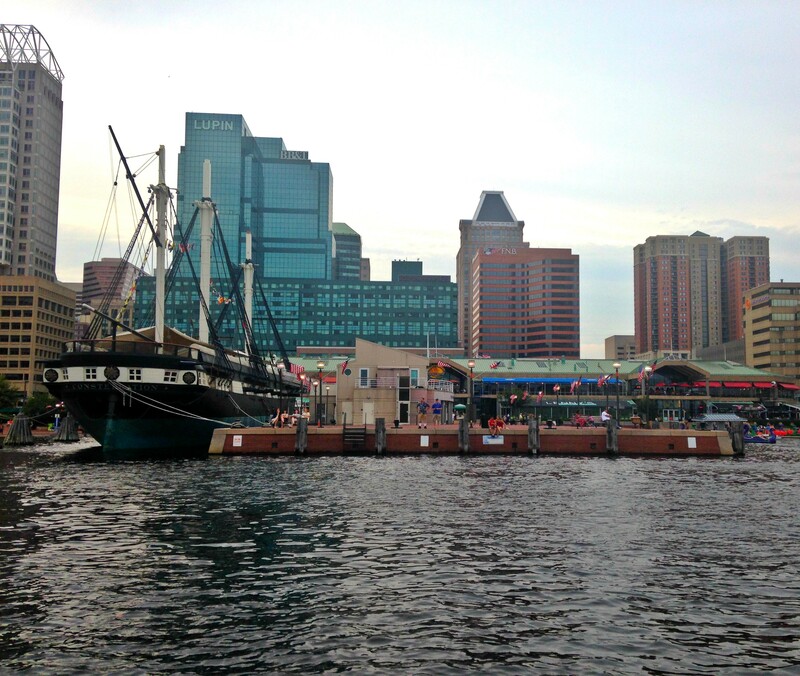 Not long ago, I had the opportunity to spend a quick weekend in Baltimore, Maryland, and I have to say that if you enjoy food, you should not pass on the experience. To put the city into perspective, I recently saw a bumper sticker that read “Baltimore: Actually, I like it.” I came away from the city feeling much the same way. Baltimore has an unflattering reputation from stories in the media and television, and I’m not saying that it does not have its rough edges (that may be putting it mildly), but the city deserves a chance, especially if you enjoy a good food scene. During the short time I had in Baltimore, I’ve listed an itinerary that highlights my favorite spots. 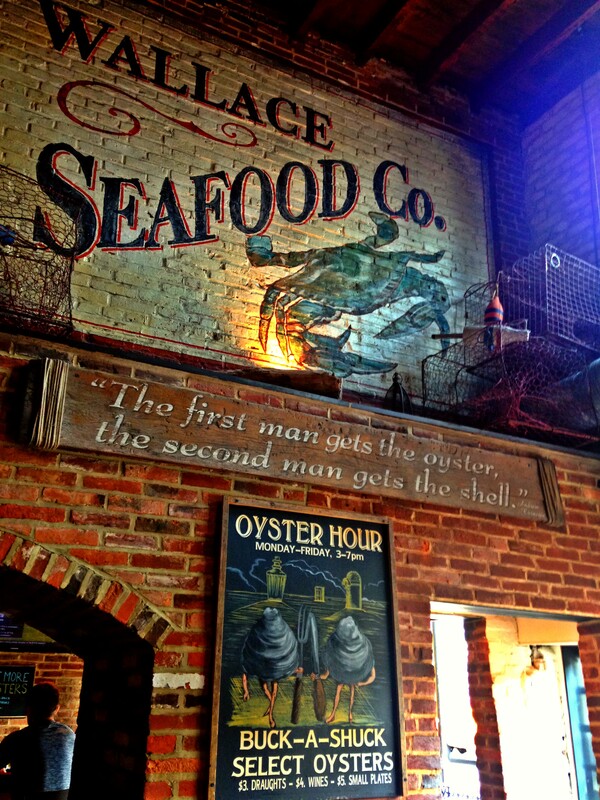 The perfect beginning to a weekend in Baltimore would be a visit to the Thames Street Oyster House in Fells Point. Omg, this place is amazing. The restaurant faces the harbor along a cobblestone street, and it is incredibly busy, so be strategic in the time you drop by. 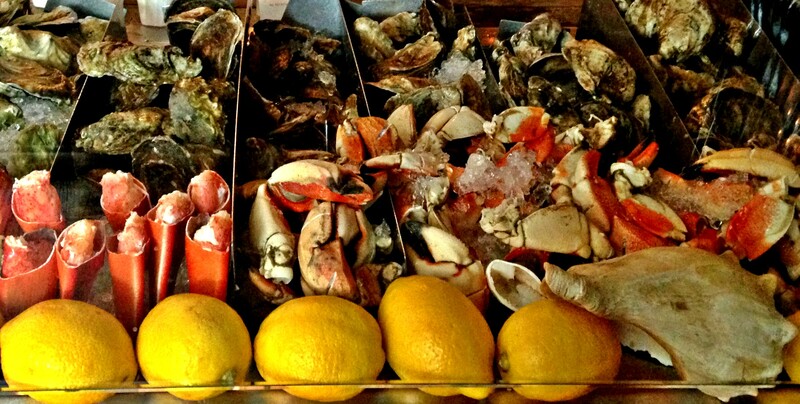 Be advised that they also don’t serve the full menu all day, but the raw bar remains open. I originally wanted to check this place out because I saw pictures of a huge seafood salad that looked amazing. After seeing the raw bar though, we didn’t even bother with the salad. The raw bar includes a wide variety of oysters at different price points, and the menu provides a detailed description of each oyster variety, including how briny the oyster tastes, whether it is a boutique oyster, where the oysters are from, and many other types of descriptors to aid your selection. 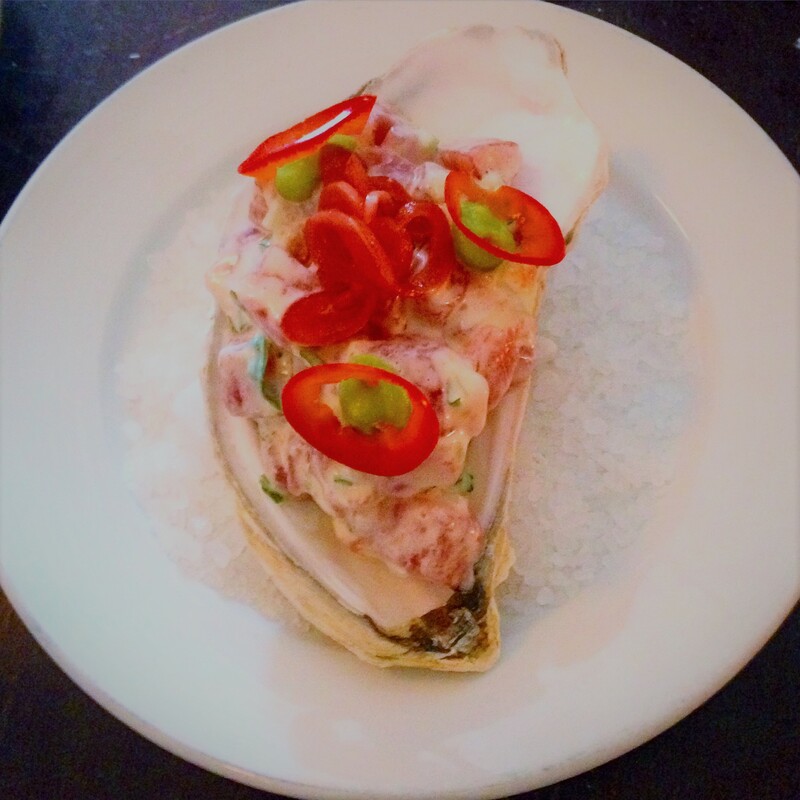 In addition to oysters, we also ordered crab claws from the raw bar (lobster claws were also available), and tuna tartare served in an oyster shell for $4, what?! Off the menu (not the raw bar), we also ordered scallop ceviche and octopus salad, both delicious, and the Maryland crab with short rib soup accompanied with Narragansett clam cakes (essentially breaded clam balls) for dipping. If I had to end my trip after this one restaurant, I would have been completely satisfied with my visit. This meal was absolutely my favorite. 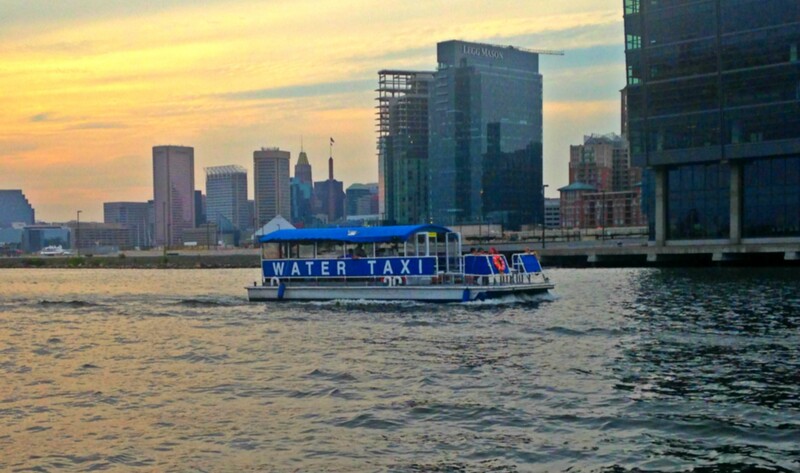 From Fells Point to the Aquarium, there is an affordable water taxi that offers service quite frequently at really affordable prices. The one-way fare was $8, but you can also buy an all-day pass for many stops all around the harbor for not much more. I love boat rides, and with kids, this is a great way to see the city from a different angle, be on the water, and get to the aquarium, which was also near where we were staying, at the same price as a taxi. Near the aquarium, there were tons of shops and other sights to visit, including the Emerson Bromo-Seltzer Clock Tower that looms above this neighborhood. 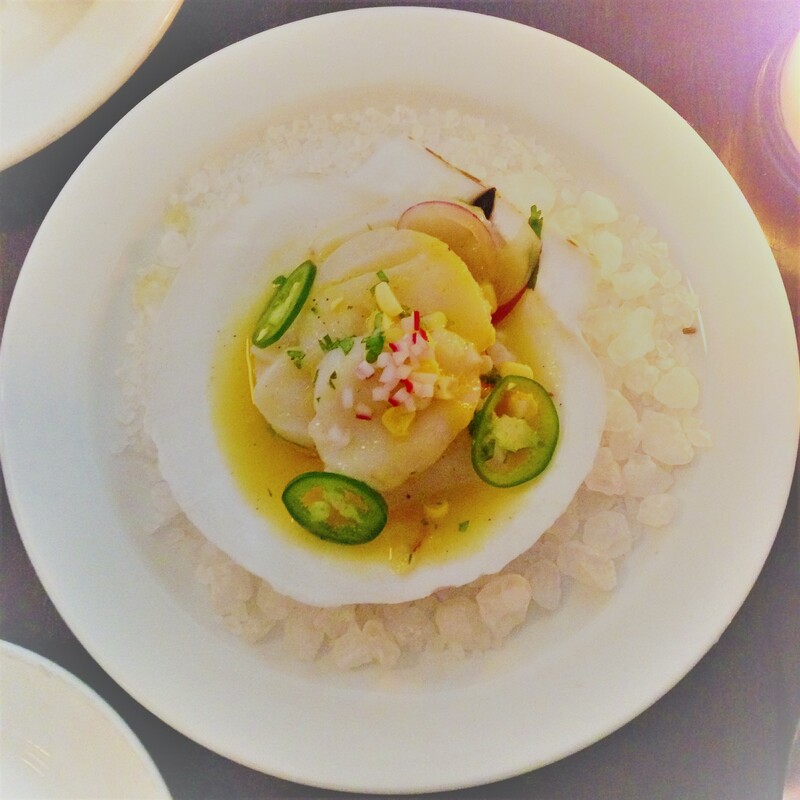 Ryleigh’s Oyster has several locations in Baltimore, and we chose to visit the one in Federal Hill. Federal Hill is an interesting neighborhood itself with the Cross Street Market, the Maryland Science Center, and the American Visionary Arts Museum; there is plenty to see and do with the family in this area to walk off that big lunch before happy hour. Ryleigh’s offers $1 oysters and $5 small plates during their Oyster Hour (3-7 pm, weekdays), as they call it, accompanied by beer and wine specials that highlight their extensive selection. On Fridays, after 5 p.m., the National Aquarium is half as expensive. This discount is so worth it, dropping an adult ticket price from $40 to $20 and a ticket for children between 3-11 years old from $25 to $12.50. 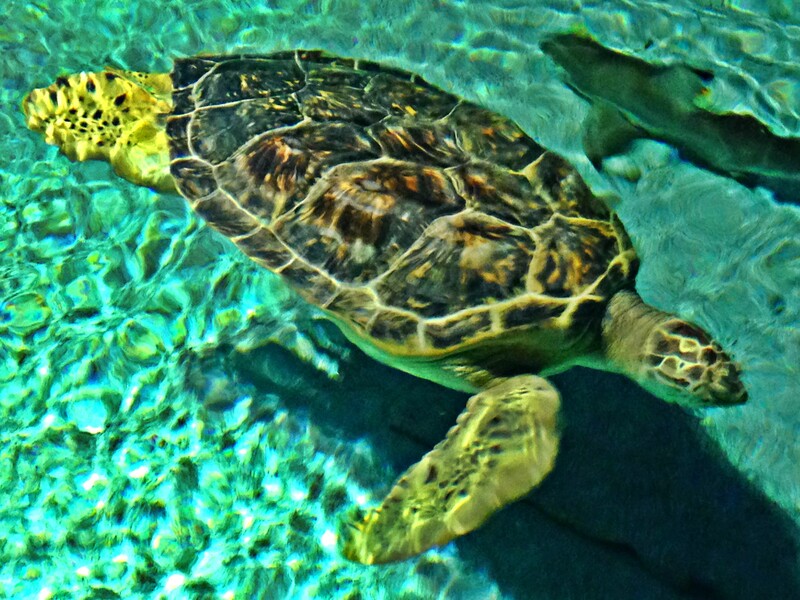 The highlights of the National Aquarium include their large exhibit filled with sharks, a three-legged rescue turtle, an Australian creature exhibit, and a dolphin show, where you can sit and watch the dolphins even when they are not performing. Theater and live shows cost extra. To give you an idea of the time commitment involved, we spent a little over an hour going through all of the exhibits without going to any of the shows. 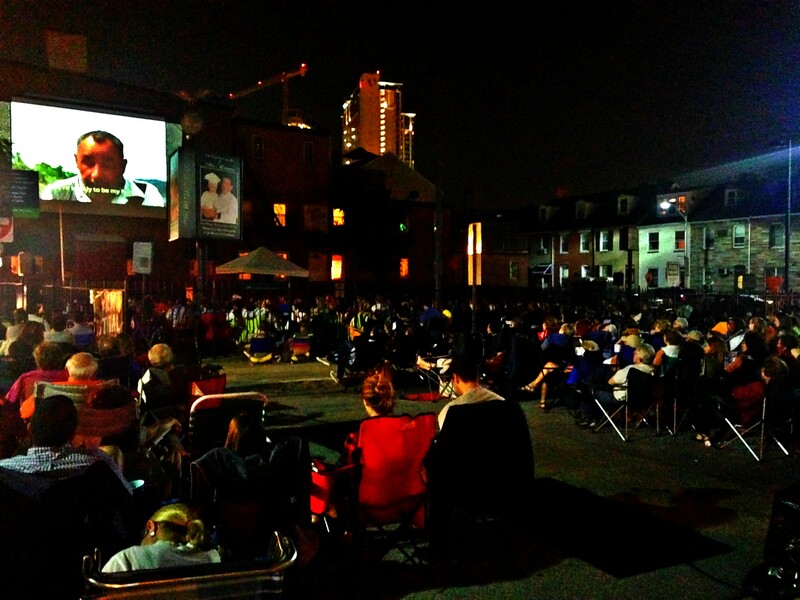 On Fridays nights in the summer, the Little Italy neighborhood in Baltimore offers free movies on the lawn beginning at 9 p.m. When we were there, they were playing Cinema Paradiso. If you are there earlier, live music begins at 7 p.m. Surrounding the lawn, there are many great Italian restaurants, delis, and dessert and gelato shops, so even if you miss out on the music and movie offerings, the neighborhood is worth a visit. If you are able to have an evening out without little people, there are a ton of bars in Fells Point and the surrounding area. I can only speak about those I experienced firsthand, which you’ll find below. Baltimore is very strict regarding last call at bars, so make sure you get your last order in when you can. Bad Decisions – This place was my personal favorite but mostly because I’m a sucker for dive bars. Totally unpretentious, everyone here was friendly, and their music reminded me of home (or maybe just high school? lots of Sublime). Everyone was drinking a tall grapefruit and gin drink that was inexpensive and delicious. Annabel Lee Tavern – If you’re looking for something a bit more classy, but still out of the norm, try Annabel Lee, named for the city’s connection to Edgar Allen Poe. Their food looks pretty good as well, and they have a late night menu, which is always a plus. Of Love and Regret – I wanted to love this place, but I just didn’t. They have a great beer selection and cocktail menu, but I found the service staff pretentious and rude. I’m still including it here because it looks like it has a lot to offer and I don’t want to judge it on just one visit, but I’m recommending with a word of caution. 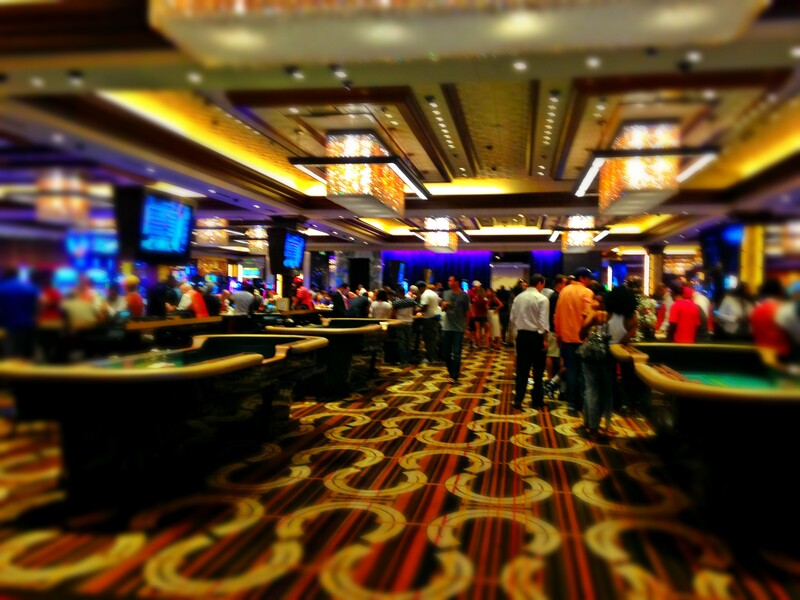 Horseshoe Casino – After last call, all hope is not lost if you’re still looking to get your drink on. In a very surreal experience for someone from Las Vegas, I ended up at the Horseshoe Casino where they serve until way later than anyone else. The Baltimore Ravens had played earlier that night, so the place was swarming with people in jerseys. I met a lot of weird and interesting people that night, including a Saudi who upon being told that he didn’t need to buy me a drink because I already had one, handed me $20 because hey, that’s kind of equivalent, I guess. Late night food is also available, which is super important to any after hours experience. After a night like we had, no ordinary brunch would do. Enter Miss Shirley’s Cafe. Wow, was that a great breakfast! I’m not a fan of chicken and waffles because I’m weird about mixing sweet and savory, but the chicken and waffles at Miss Shirley’s Café have me wanting to come back to Baltimore. Rather than syrup, they come with a honey mustard aioli and the waffles themselves are made with cheddar and green onion, so their savory elements make them just right for me. We also started with yummy BBQ deviled eggs, and there are tons of cocktails and bloody Marys for that hair of the dog that bit you. 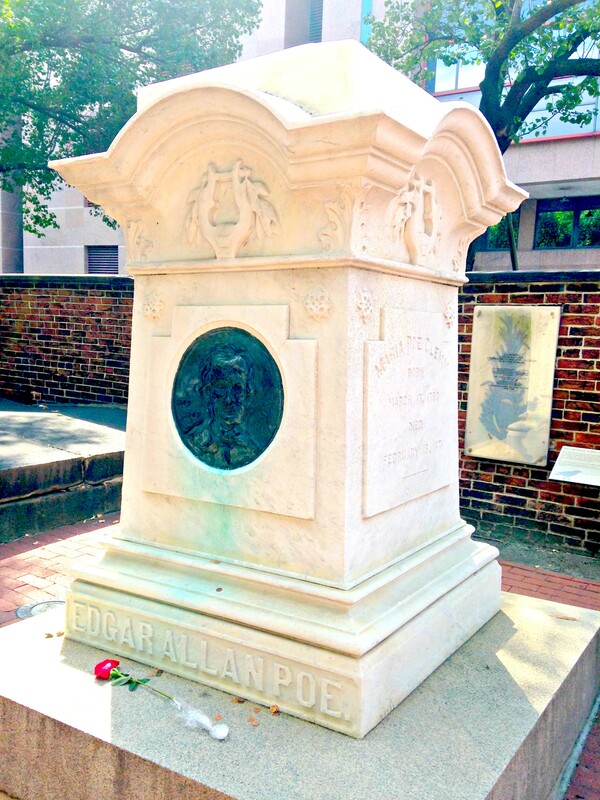 A nice walk to Edgar Allen Poe’s gravesite was in order after a tremendous breakfast. You can enter the cemetery for free and wander around gravestones from the 1800s and earlier. Many of Poe’s relatives are also buried here, and upon entering, you’ll see a memorial for Poe and his family members right by the gate. To find Poe’s original resting place and headstone, you need to wander around a bit toward the back of the church. Poe’s place of residence is only a mile or two from the cemetery, but we did not have time to visit and were warned that the area could be unsafe. Early evening, I proceeded to The Brewer’s Art, a few miles up the road from Poe’s gravesite (take an Uber, it’s not that close). I was by myself at the time, so I sat at the bar. I had such lovely and attentive service. 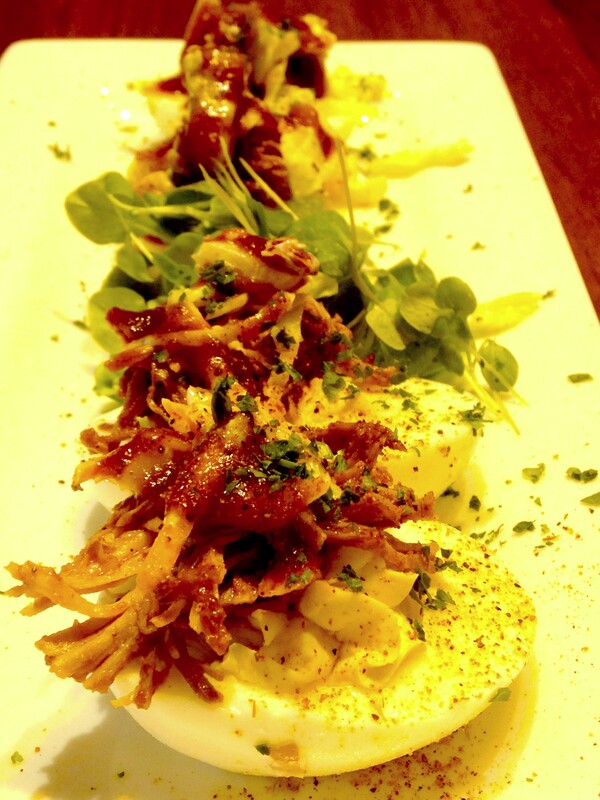 The menu for The Brewer’s Art is fancy pub fare with both small plates and entrées. They brew their own beer with a seasonal lineup, and you can get samplers as well. 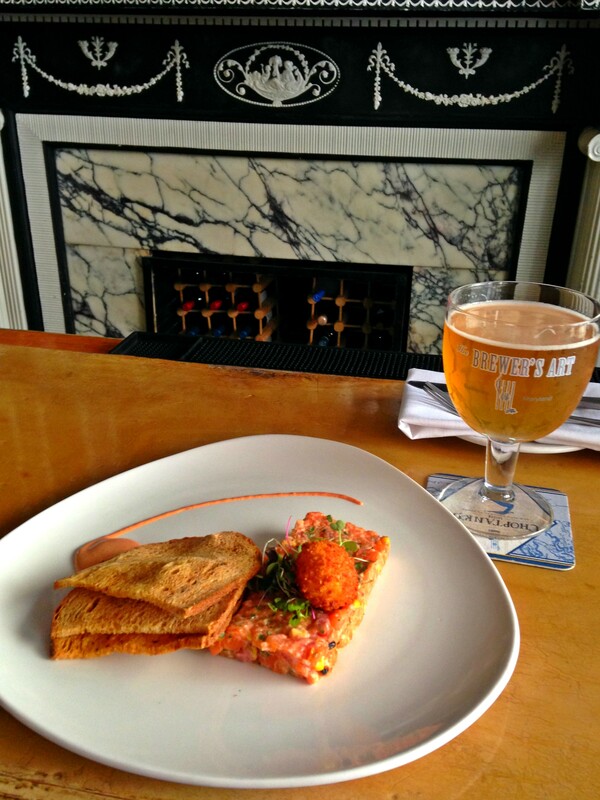 I had the salmon belly tartare paired with their wheat Wit Trash. Great flavor combo! 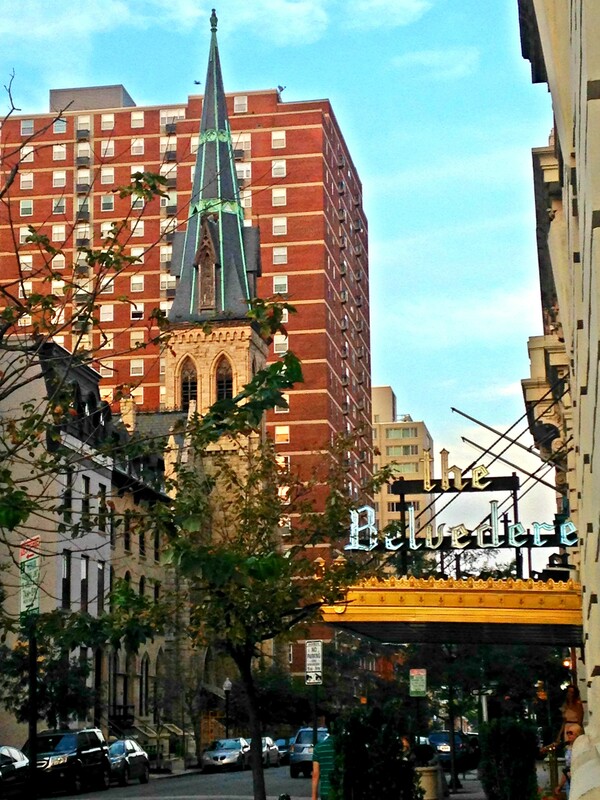 Around the corner from The Brewer’s Art is the iconic Belvedere Hotel. As I walked in, a bride was being photographed in front, as is probably often the case, the hotel considering itself to be the “Crowned Jewel of Baltimore.” It is quite pretty on the inside, and if you walk to the elevators on the right in the lobby, you will be taken to the 13th Floor bar overlooking the city. 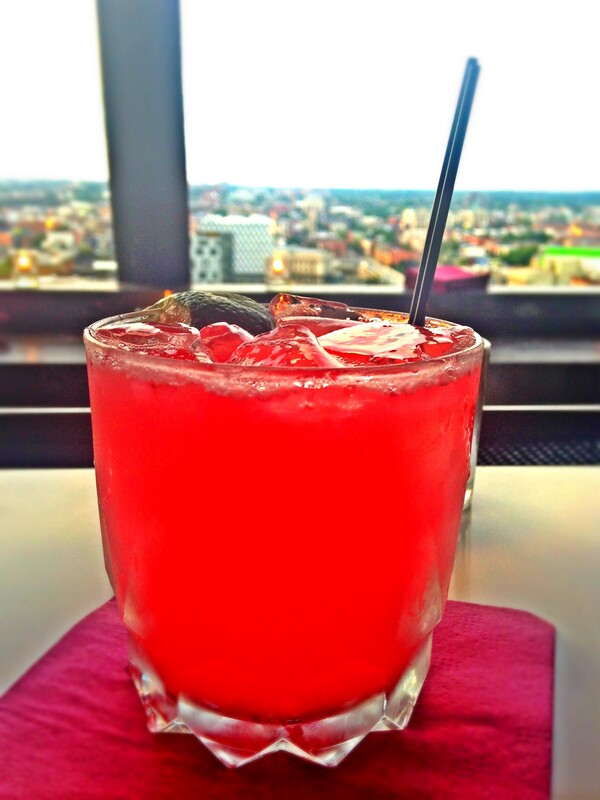 The experience reminded me of the Top of the Mark in San Francisco where old meets cocktails and a view of the city. I didn’t try the food, but it was worth the visit to see the hotel and the view. Baltimore has a lot to offer: the food is great, there are plenty of things to do with the family, and there is a fun party scene as well. Baltimore also has a rich history, and in addition to wonderful seafood, there is a great selection of ethnic cuisine we didn’t even have a chance to sample. Whether you are just passing through or if you have more time to explore, Baltimore has something for everyone. That bumper sticker made me laugh – sadly I had a similar impression of Baltimore, my only experience of the city comes from watching episodes of Homicide:Life on the Streets when I was in high school! Ive never even been to America but Baltimore is definitely on my list of places I have to go to. I love your pictures it looks brilliant! 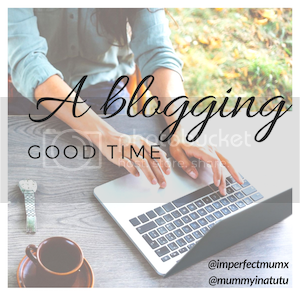 Thanks for linking to #ablogginggoodtime and don’t forget to join us this Thurs.